New additions to our Pet Tag line here at Tag UR It! inc.
One of the most important things any pet parent can do to keep their babies safe is to make sure they have a great pet tag! We never expect anything out of the ordinary to happen to our pets, but should the unexpected happen, your pet should be prepared. If somehow your precious feline or canine family member gets loose and is wandering alone out in the world, make sure whom ever finds your pet is able to contact you quickly and easily! Not only will your pet be safe, but also stylish with an engraved pet tag from Tag UR It! Inc.
Tag UR It! Inc. is now offering a colorful selection of aluminum and stainless steel tags that can be engraved on one side or both. We have a large selection of different colors, shapes, and styles! Give us a call or email us today for pricing and availability! 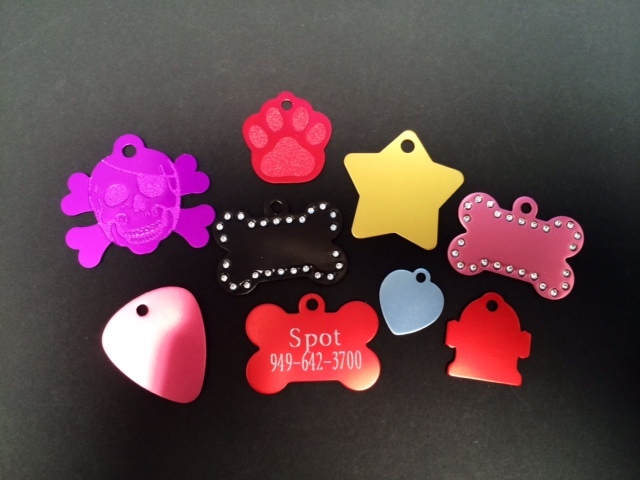 A small sampling of our aluminum pet tags! These tags are offered in many styles, shapes, and colors! Some are even accented with Swarovski elements! These tags can be engraved on one or both sides! 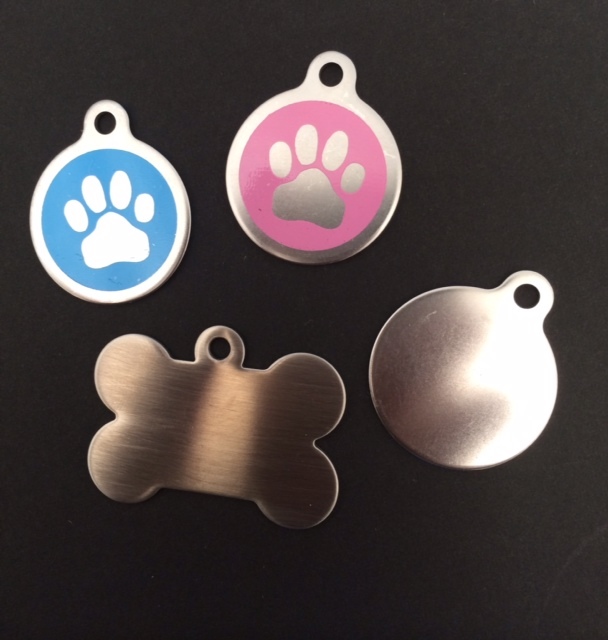 These stainless steel pet tags are the newest addition to our pet tag line! These sleek and stylish pet tags also come engraved with your pet’s information. 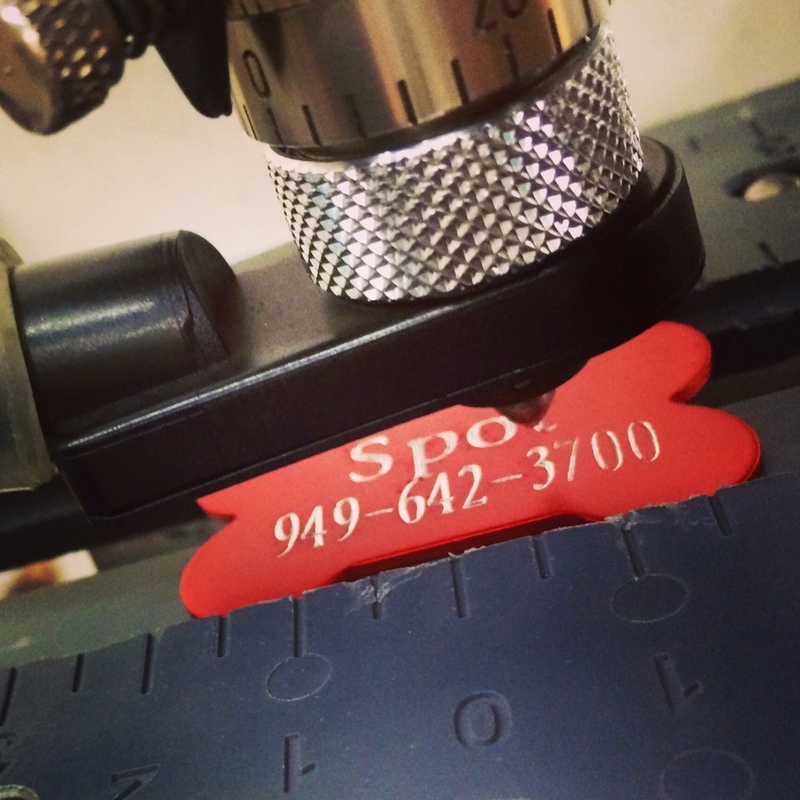 Engraving a dog tag here at Tag UR It! inc.